The long wanted victory today finally arrived. 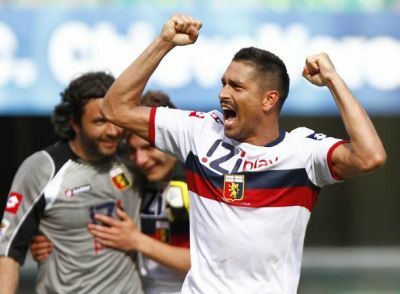 By a goal of Marco Borriello we did win 0-1 in Verona against Chievo. Because both Siena and Pescara lost their matches it was a very good weekend for Mr. Ballardini and the team. The only negative aspect was the 1-0 victory of Palermo against Inter. Genoa and Palermo now, 4 matches before the end, both have 32 points, Siena has 30 points and Pescara 22. 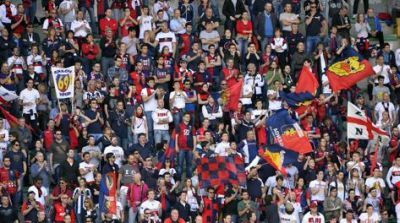 Next Sunday at 15.00 hours Genoa plays in Marassi against Pescara and Palermo plays in Juventus Stadium against Juve that receives the scudetto if they win against the Sicilians.